Thank you all for posting lovely pictures and videos. I always looking forward for the crown princely tour with childre. They are lovely and well behavior. Love to see Vincen outdoor, he will be everywhere and up and down the rocks if he can. The trip was very enjoyable to follow, not least because of the backdrop of the beautiful scenery. I agree with Muhler that Christian will take a more prominent role within the royal family from here on in. Not necessarily that we’ll see him more - the children have been out and about at public events since they were small - but that he’ll participate fully in the events he’s at, similar to what he did on this trip. He seems ready for it; he didn’t seem nervous or awkward at any point during the past three days and he also appeared to genuinely enjoy himself. 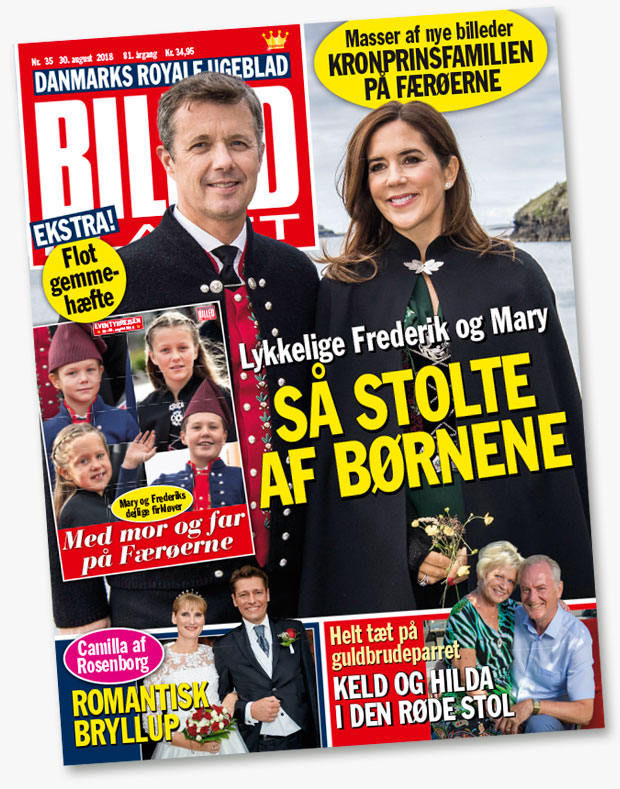 Whether Mary and Frederik did especially well in how they’ve prepared Christian for his future role or whether they just got lucky with great raw material, they might as well, (gently), keep the ball rolling and let him really come into his own. I'm not sure if they've already been posted here but Kongehuset has some wonderful videos of the trip up on their YouTube channel that are worth a watch. Trivia based on a number of articles in Billed Bladet #35, 2018. Written by Ulrik Ulriksen and Marianne Singer. 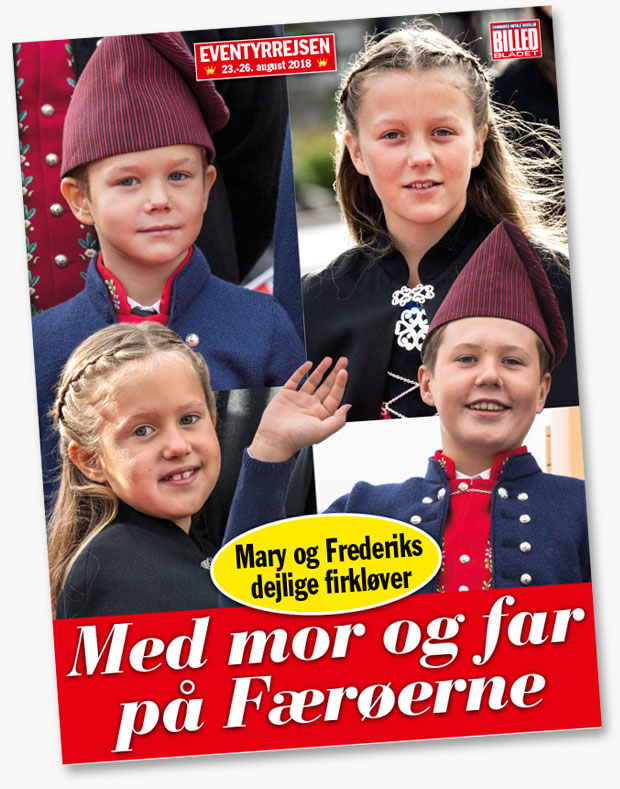 The four sets of traditional clothing the children wore during the visit were presents from four municipalities. The silver buttons, buckles and clasps were a present from the Parliament. - They can also be recycled as the children outgrow their suits. It was very much appreciated that they wore the traditional clothes and wore them so much! And we already know that Vincent can fire of the most hilarious things. That seems to be the case in a photo in scan #20, where his dad is cracking up at something Vincent said. When the children weren't with their parents their two nannies (one is named Pernille) took care of them aboard Dannebrog. Or served as backup when the parents were busy up front. Judging from a photo (see scan #16 ) Isabella is fond of Pernille. It was chilly all during the trip, around 11 degrees C, so it's good to have an older brother to hold you tight and warm you a little. thank you Muhler for the info and scans.